Uummannaq is a popular tourist site located in the north western part of Greenland. This destination is located very near to the Thule air base and the Disko Island. Uummannaq has a mountain which due to its shape like a heart is named Hjertefjeldet. The district which has grown up around this mountain is also called the same. The actual geographical location of the district can be determined by the latitude and longitude of the area which are 70o40' North and 58o08'West respectively. The place is in close proximity to the Arctic Circle which makes it all more attractive to the tourists. The community which resides in this area is also known as Uummannaq. The total population of the district of Uummannaq is around two thousand eight hundred. 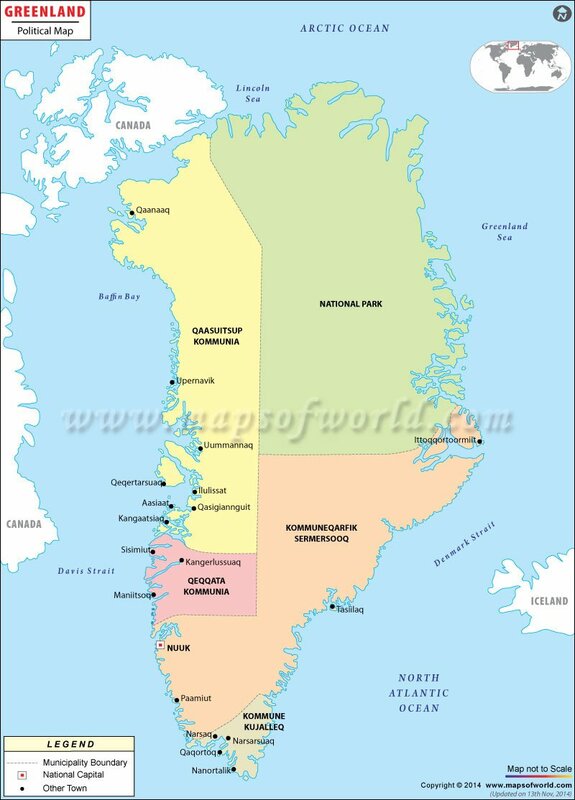 The eight main villages which fall in this district are Niaqornat, Saattut, Ukkusissat, Nuugaatsiaq, Illorsuit and Qaarsut. The main occupation of the residents of Uummannaq is hunting and fishing. The discovery of the ‘Greenland Mummies’ in the area is one of the main reasons why this district draws so many tourists from around the globe. The district of Uummannaq was once a lucrative mining site but things have changed now due to the price in the world market. The tourist’s attraction of the district is the reason why there is a big airport in this region. The airport has all the modern facilities and is a town on its own. Though the hotels in this region are bit expensive there is a youth hostel where you can have a comfortable stay at an affordable price. Is Greenland a Continent ?